A Hindustani classical vocal virtuoso descending from the family of principal Kirana Gharana musicians, Amjad Ali Khan has carved a niche in the industry of Indian classical music. 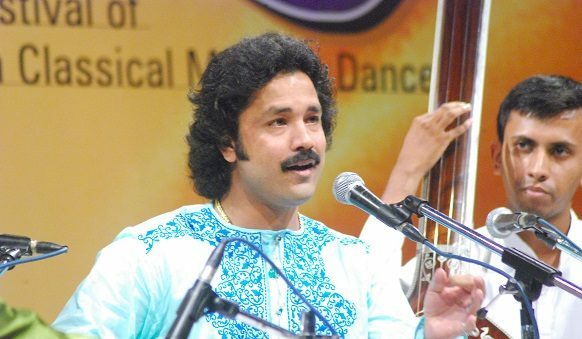 He is hailed as a performer par excellence in India and abroad, and is one of the contemporary singers of the Kirana Gharana to have assimilated the essence of the meer-khand, vistar or development typical to the gharana. His melodious reverberating voice and his ability to balance the performances with sensitive alap/vistar, complex sargams and an onslaught of lightening fast taans has set him in a class apart. His ingenious works in music have been highly admired by the contemporary music world. He is considered a connoisseur in the subject and has been invited by many esteemed organizations for conducting workshops and judging musical talent. He is one of the rare exponents of Kirana Gharana to be deemed as the torch bearer of the gharana. Mashkoor Ali, his brother Mubarak Ali Khan, daughter Shahnaz Ali Jahan, and nephews Amjad Ali Khan and Arshad Ali Khan, among others, are taking the family legacy forward.